November 25th, 2018 – Emeryville, CA – LumiGrow Inc., a smart horticultural lighting company, today launched their newest wirelessly controllable LED lighting system for commercial greenhouse and indoor crop production. The LumiGrow TopLight is a powerful, versatile lighting solution built with various cost-saving optimizations for the professional crop cultivator – including a high photon flux (PPF) of 1440 micromoles per second (μmol/s), IP-67 rating, passive thermal management, versatile mounting options based on crop application, easy installation using quick-connect assembly, wireless control functionality, and the industry’s leading 5 to 7-year warranty. The LumiGrow TopLight is a LED fixture comprised of 2 light bars powered by one TopLight Node, the industry’s first intelligent 3-channel power supply. Each TopLight Node comes with ports for plugging in LumiGrow wireless control modules and light sensors for precision light management enabled by LumiGrow’s smartPAR control software. 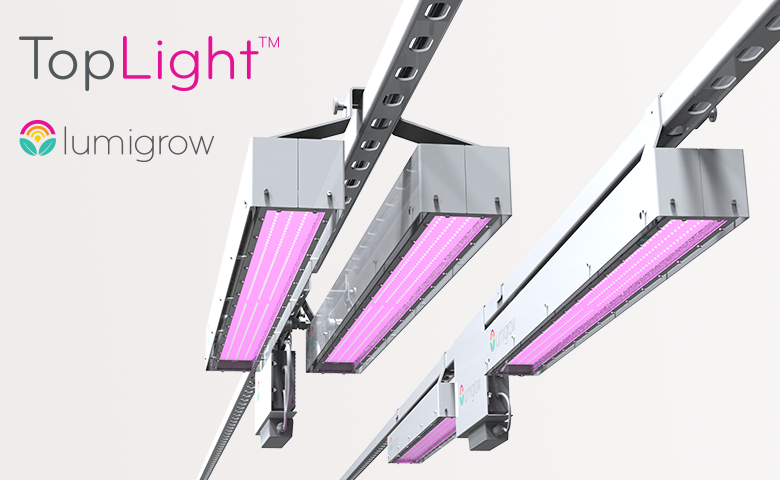 Available in two spectrum options, the LumiGrow TopLight comes with either a ‘Targeted’ or ‘Hybrid’ LED array. Targeted Spectrum customers take advantage of the industry’s most advanced adjustable spectrum, offering adequate broad spectrum for healthy plant development while putting most of your energy into the red and blue PAR ranges to drive robust photosynthetic growth. Hybrid Spectrum customers receive a “white-rich” array for similar growth to HID spectrum fixtures, with some improvements to the red and blue PAR ranges, all while using up to 50% less energy than the leading HPS fixtures. LumiGrow Targeted Spectrum fixtures available now. Hybrid Spectrum fixtures available in Q4 2018. LumiGrow has the largest smart horticultural LED install-base in the United States, with installations in over 30 countries. Our customers range from top global agribusinesses, many of the world’s top 100 produce and flower growers, enterprise cannabis cultivators, leading universities, and the USDA. 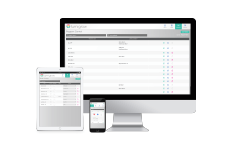 Headquartered in Emeryville, California, LumiGrow is privately owned and operated. For more information about LumiGrow, please see www.lumigrow.com.